Netflix is one of the best streaming services for movies, TV series, sports, and shows on the market. The American firm has been working on improving its service since the launch day in order to offer a better user experience. Netflix’s movie-streaming service is now available in most parts of the world, with more than 120 million subscribers. Netflix has its own mobile app on iOS and macOS, offering an extensive experience across all devices. One of the best things when it comes to Netflix’s movie-streaming service lies in its original series like House of Cards, Hemlock Grove, Stranger Things, or Sense8. 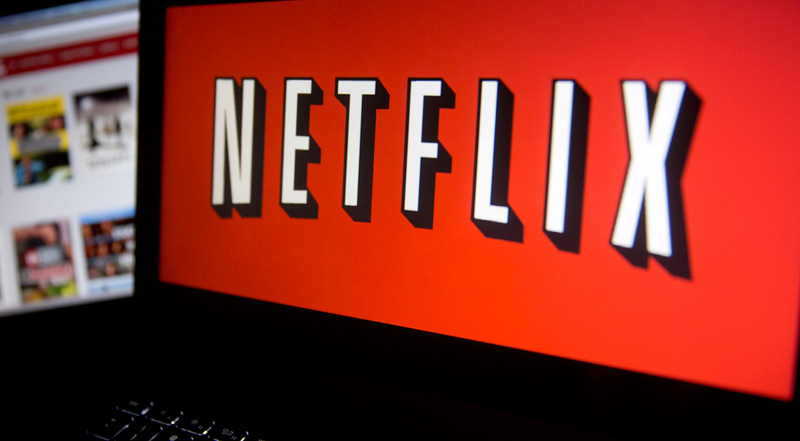 If you are new to Netflix, then some of its features may not be unknown to some folks. With that in mind, we have created a list of the best tips and tricks on your iPhone and Mac. Before we begin, the list below includes the best iOS apps for a better Netflix experience. Netflix includes support for a wide range of third-party apps and services to enhance user experience. If you are looking for an app that adds more advanced features to Netflix, then Rave should be your perfect choice. With Rave, you will never watch movies and TV shows alone. In other words, the app helps you stay connected to your friends who are Netflix subscribers, so all of you can enjoy your favorite shows together. The app also allows you to send text messages with your guys or talk to them while watching your content. The best part is that Rave helps you stay up-to-date with the latest TV shows and movies without even opening the Netflix app on your phone or computer. Rave is completely free for download from the App Store or Mac App Store. Netflix is now available in nearly 200 countries worldwide and the number’s set to grow in the coming months. The company has been gradually expanding its movie-streaming service to more markets in recent years. However, Netflix content differs from country to country, so some of its original movies or shows may not be available in your area. If you are now in India, you cannot watch House of Cards, an American political thriller TV service produced by Netflix. Fortunately, you can use Getflix, a handy app that lets you watch your favorite movies or TV shows anywhere in the world with no restrictions at all. Basically, Getflix is specifically designed to unblock a wide range of streaming sites and services across the world. With Getflix, you can watch everything on Netflix without any location restriction. The coolest part is that the app is free for download from the App Store. Netflix provides a wide range of content across all genres, so it’s hard to keep up with the latest happenings out there. That’s when Simkl Lists comes to the rescue. As the name suggests, the app helps you stay up-to-date with the latest movies and TV shows, so you won’t miss any new content. The coolest part is that the app tracks down your shows and informs you when they launch to the public. Simkl Lists is a free app and can be downloaded from the App Store or Mac App Store. Upflix is a great tool that enhances your Netflix experience. The app helps you keep up with the latest news from favorite titles on Netflix. Specifically, you can watch trailers, get the latest information, and watch the latest episodes. The app also lets you see reviews for your titles, create your own playlist and share it with your friends and family. Upflix for Netflix is a free app and receives mostly positive reviews from users worldwide. Just Watch is a website that allows you to find out what’s getting added to Netflix every week. Besides, the app also lets you see the release dates for your favorite movies and TV shows on Netflix and other platforms like HBO, Hulu, Starz, and Showtime. All you need to do is visit the website on your browser and follow the on-screen instructions to figure out what’s debuting on Netflix each week. Netflix is a great movie-streaming service that offers a wide range of movies and TV shows. There are a lot of apps and services that enhance your Netflix experience. The above list includes 5 best apps we recommend to you. If you have got a favorite, don’t forget to share with us in the comments below.